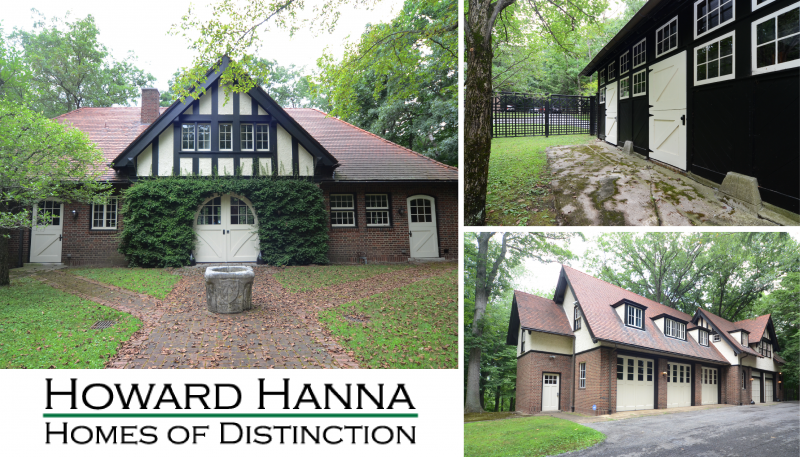 Pittsburgh, PA (October 3, 2018) – Howard Hanna Real Estate Services has listed a 7+ acre property in Sewickley Heights, owned by Drue Heinz, widow of H. J. “Jack” Heinz, grandson of the founder of H. J. Heinz Co. Mrs. Heinz purchased the property in 1988. Betty Moraca, of the Howard Hanna Sewickley office, is the listing agent. The main carriage house features a gated entry and courtyard, original horse stalls, kitchen, great room, library, powder room and attached one-car garage. The upper level includes four bedrooms plus two full baths. The other carriage house features a great room, covered side porch with spectacular views and access to an attached 6-car garage. The second level includes a charming kitchen, full bath, bedroom and sitting room. An additional area includes four rooms plus kitchen and bath. Mrs. Heinz died in Lasswade Scotland at age 103 in March of 2018. She co-founded the Ecco Press, was publisher of The Paris Review, and was a generous patron of the arts. Mrs. Heinz’s local philanthropy includes the Heinz Architectural Center at the Carnegie Museum of Art founded in memory of H. J. Heinz, II; the Drue Heinz Literature Prize at the University of Pittsburgh; and funding of the lecture series of notable authors that Pittsburgh Arts and Lectures runs at the Carnegie Library of Pittsburgh. Betty Moraca can be reached in the Howard Hanna Sewickley office at 412-741-2200.